SFS RangeFocus is a series of positioners/scanners with long ranges for microscope objectives. The available displacements are 100 to 600 µm. The body-height is short, so that space is saved in the important direction towards the samples. Mounting and exchange is made simple by clamping the unit to the top adapter by a standard screw (Allen-key). 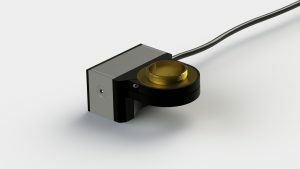 RangeFocus positioners are equipped with position-sensors for defined positioning with high linearity and repeatability. Of course, open-loop versions are available.